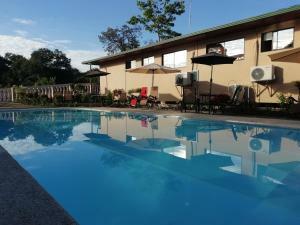 ﻿ Best Price on Hakuna Matata Drake Bay Hostel in Drake Bay + Reviews! 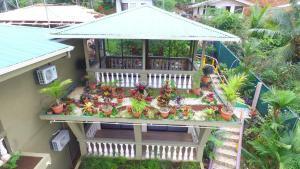 Hakuna Matata Drake Bay Hostel is located just 656 feet away from Playa Colorada in Drake. Free WiFi access is available throughout. The hostel offers a choice between multiple accommodations or dormitory rooms, both include a fan. Some rooms feature a balcony with views of the surrounding forest and private bathrooms. Dormitories have a shared bathroom. At Hakuna Matata Drake Bay Hostel you will find a terrace, a shared kitchen and a luggage storage. The property has it's own tour desk and offers a wide variety of outings in the area. You can find a variety of outdoor activities including fishing, hiking and diving. Restaurants and bars can be found within a 10-minute walk, while Drake Bay Airport is just within a 15-minute drive.